One Week is one of my favorite movies. In the movie, Ben Tyler, played by Canadian actor Joshua Jackson, has been diagnosed with cancer. Foregoing his required treatment, he instead decides to take a motorcycle trip from Toronto across Canada to Vancouver Island. 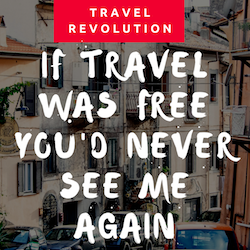 (I took part of that inspiring trip myself and made a photography book about it.) Along the way, he meets several people that help him reevaluate his relationship with his fiancée, his job, and his dream of becoming a writer. In dealing with cancer, Ben’s chance of survival is limited, but, as his doctor says, when you’re dealing with individuals, you have to throw the numbers out. In the end of the movie, the same is said about relationships. It doesn’t matter how high or low divorce rates or cancer survival rates are, when you’re dealing with individuals you have to consider the chance that those individuals beat the odds and make it through. Judging by the daunting numbers and other bad press about marriage and relationships, it seems virtually impossible to stay free and happy in one or the other. Yet married life is the common ideal in most areas of the world, in particular North America. We’re committed to holding on to an ancient relationship model, even if it no longer seems to serve us well. We all cherish the idea of being in a relationship, and eventually marriage. The online dating industry generates billions in revenue each year, because we want to be in a life that’s safe, secure and predictable. What it really means is that you want to be free, and your partner to be the way you want him or her to be. We want predictable, whilst minimizing risk. The odds, again, are not in your favor. It’s time to look for an alternative strategy, an upgraded view. Sometimes love is not knowing the whole story, or going after a different story altogether. 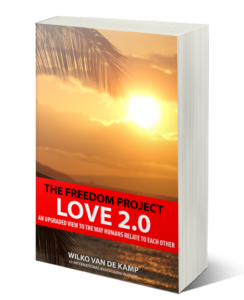 The movie is one of the movies mentioned in my new book, The Freedom Project Love 2.0. The books introduces an upgraded view to the way humans relate to each other. It’s available on Amazon, Amazon Canada, Barnes & Noble and finer book retailers worldwide. To learn more about the Freedom Project series please visit www.freedomprojectbook.com. Thanks for your support! I you haven’t seen it already, check out the movie trailer below. When a young man is confronted with his mortality, he takes a crosscountry road trip on a vintage motorcycle. One Week tells the story of Ben Tyler (Joshua Jackson), in his mid-twenties, who flees from the confines of his life—an impending marriage, a job he’s not entirely happy with and a recent diagnosis—in order to attempt to live more fully. What starts off as an ill-defined venture soon morphs into a quest for the West Coast. If you haven’t seen the movie yet, you can buy or rent One Week from Amazon.